Disruption is a radical change; by meaning. But what does disruption mean for PR professionals, consumers, clients, and business? In its roots, disruption changes business models and the way people think and act. It requires people to adapt to the new ways of communication. Disruption leads to the emergence of new ideas and expectations and requires PR professionals to be creative and innovate. It also requires businesses to keep up-to-date and stay ahead of current trends and be competitive and desirable for their audiences. Disruption in PR happens because of technology, gadgets, automation of processes, social media, or innovations in terms of products and services. This affects the stages of planning, executing, and managing a communication strategy. Today, we are talking not only about pure PR (usually associated with media relations). Communication processes are integrated; campaigns are integrated, mixing different communication tactics. Today, campaigns blend digital and non-digital tactics allowing to reach target audiences in the best way possible at the right time with the right content. The rise of technologies has changed the communication industry and now we’re also talking about digital communication. Overall, digitalization is taking up a major part in people’s lives—from smartphones, tablets, personal computers, and gadgets, to home assistants, voice recognition systems, personal finance, health tools, and many more. It’s no surprise that the PR and marketing industries have been changing. From the way PR professionals talk to people (emojis, gifs, stickers, and hashtags), to the way we use channels (social media, mobile apps, native advertising) and the way content is generated and distributed (big data analysis of consumer behavior and interests, content marketing automation). This is how digital disruption challenges agencies to keep up with technological development, while innovation services and tools are taking over traditional PR functions. For example, the traditional press kit and media relation process is digitized now, so you can see brands and companies using virtual press rooms with all kinds of media assets. Brands, companies, and PR agencies have started to move in this direction. Just check out United Partners’ virtual press room powered by Prowly. Of course, disruption started first in business before it reached the communication industry. Some of the examples below show how technology and changes in these directions have helped some of the big names on the market to be leaders in their fields, become more consumer-oriented, and achieve great success (Digital Transformation review). 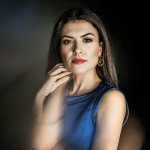 “Amazon is one of those amazing companies that constantly and relentlessly tries to analyze its business model and tries to disrupt it before being disruptive by others,” says Serguei Netessine, Chaired Professor of Global Technology and Innovation at INSEAD (Designing Transformational Business Models). “Technology helped to establish a direct relationship with customers. It was very disruptive and Financial Times has significantly benefited from this disruption,” says Caspar de Bono, Managing Director, b2b at Financial Times (Riding the Wave of Digital Disruption: Scripting a New Digital Future, the FT Way). “It took Hilton Hotels 93 years to build an inventory of over 600,000 rooms; and Airbnb got there in just 4 years, and they now have close to 900,000 rooms,” says Rachel Botsman, Global Though leader (The Power of Sharing: How Collaborative Business Models are Shaping a New Economy). PR is disruptive because it has to be integrated. PR departments and agency teams have to have the same goals as any other departments in the company (marketing, finance, sales, IT, etc.). This allows for all communication flows from various departments to be coordinated and have “one voice” of customer communication. When goals are aligned, success is guaranteed. PR professionals understand people’s relations. The basic purpose of PR is to maintain good relations between brand/companies and their audiences. So, it is quite natural that PR pros should adopt technologies quickly, so they can respond to people’s needs the right way by knowing their behavior. Through change and innovation, professionals can be creative and find the best solutions for their clients. Some of the trends that have affected the PR industry are mentioned in Holmes global communications report 2017. The top trends influencing 2018 are digital storytelling, social media listening, blog data, behavioral research, influencer marketing, and real-time marketing. PR professionals are natural storytellers. Their job is to tell brands’/companies’ stories in interesting and attractive ways to appeal to their audiences, thereby allowing to generate interest, raise awareness, and boost the brand and corporate image. With technology influencing the communication industry, social media, blogs, forums, apps, it is only natural to talk about digital storytelling. Social media monitoring has been quite important for PR pros wanting to conduct big data analyses. Every campaign strategy starts with a thorough research and analysis of topics, comments, opinions, publications, etc. Knowing what people are saying about your client in social media is key to building a strategy for telling your client’s stories to these people. What’s interesting about social media is the new approach PR pros can use, meaning observing people’s behaviors online and offline. Offline behavior is just as important to communication, as people share pretty much everything online. You have probably heard of such syndromes as FoBo (fear of being offline), FoMo (fear of missing out), or FoMoMo, MoMo, JoMo, FoJi, BROMO. So, knowing people’s behaviors helps PR pros better shape their communication strategies and messages as well as determine the timing of their communication campaigns. Combining different SML and monitoring tools will give you different data that you can aggregate or use to get insights for different stages of your communication strategy. Big data is essential for marketing and business and plays a pivotal role in disrupting the current state of PR. It helps to identify consumers that will beneficial to brands and companies. Or, data that enables companies to see news-related opportunities like newsjacking. At UP, we have developed a guide for newsjacking that helps teams identify the news that is relevant and beneficial to clients and propose a newsjacking strategy approach. The guide has a few stages with steps to follow. Data allows anticipating the behavior of target groups because the insights help them build their most relevant buyer personas. Based on such insights, PR professionals build communication strategy plans for their clients and craft content and messages but also are able to redefine the messages according to changing consumer behaviors. But not only that, as messages can be personalized to target specific groups with the content they need and look for at the right moment. Finally, blog data is all about content. Personalized content for different target groups based on their needs and desires. This way brands/companies get closer to their audiences and start building relations. Providing the right content at the right time is a win-win for the customer and the agency, as this content gives the reader something they want the very moment he or she needs it. The result is a happy customer because his or her needs have been addressed and a connection has been established. Furthermore, the agency has done its job well. Influencer marketing has become a key tactic in any communication plan because influencers are the public faces that people like, admire, follow, and want to be like. Working with micro-, middle-, and macro-influencers, people who are influencers in their community groups, and not only with bloggers, KOLs, and celebrities, helps brands/companies deliver their messages more effectively and engage easily with their audiences. Of course, the messages are personalized and customized based on the influencers’ style and the likes or dislikes of their fans/followers. Focusing more on micro-influencer marketing has become very profitable for businesses. Micro-influencers have very active followings in specific areas and can be more effective than traditional mass market influencer marketing which involves millions of followers. And because they reach highly engaged and relevant audiences, which does not always happen with traditional influencers, micro-influencers have can be much more effective in reaching out and engaging people. Whether you are using social media mega-stars or micro-influencers, they all get paid and have to disclose when they are working on behalf of a company or brand (The Second Technology Revolution: How the PR Business Needs to Change Once Again). At UP, we have been developing test campaigns for micro-influencer marketing for the SEE region with Ghostlamp, a platform for influencer campaigns. What’s very important is that customers want to know what impact their PR approach has had. It has been a challenge for years for PR pros to prove how PR results brought success to brands and companies. With digital transformation, the results became even more valuable. A good aspect is that technology allows to monitor and track consumer behavior in real time and get performance analytics. Based on analytics, you can change your strategy, shift and adapt messages, talk to customers, etc. Thanks to technology, software, and systems professionals can track the journey of their stories, analyze their performance, and get insights about the consumers who interact with the story. A good way to measure the results is to use the AMEC methodology. If we ’d like to find out if our campaign has been effective, we must measure our communication plan and tactics in an interactive way. It’s not only about the number of media publications and impressions; most of all, it’s about actual business results for the brand/company. The AMEC methodology is an integrated evaluation framework that guides you through the process from aligning objectives to establishing a plan, setting targets and then measuring the outputs, outtakes, outcomes, and the impact of your work. Anyone can use it, it’s free and non-proprietary, allowing any organization to benefit from its approach. Other than that, PR professionals now work across all forms of media that they use and measure. There are four different types of media that we integrate into our communication campaigns. 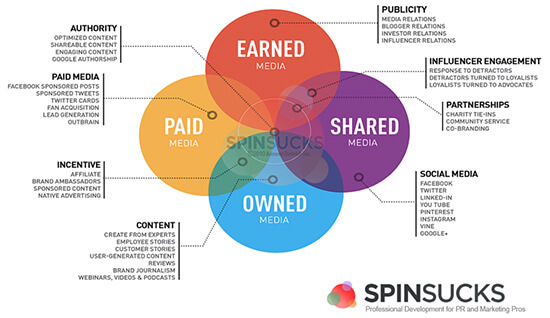 The PESO model explains them really well: Paid—sponsored social media posts and content, native advertising. Earned—media relations, blogger and influencer relations, stakeholders relations, etc. Shared—social media, co-branding, partnerships, etc. Owned–thought leadership, testimonials, employee stories, customer stories, UGC, webinars, videos, etc. Pretty much everything now can be automated. Marketing automation software like HubSpot can provide insights and track a user’s journey at every point in a campaign. Here, digital disruption is a challenge if you want to keep up with technological development and know how to use the devices but also to understand how digital, social and mobile are changing and defining our behaviors at every step of our journeys as consumers. United Partners has recently announced it became a Certified Agency partner of HubSpot. The team is working for developing inbound PR and marketing service for Bulgaria (UP is the first agency in the country to offer inbound PR and marketing) and for the SEE region. 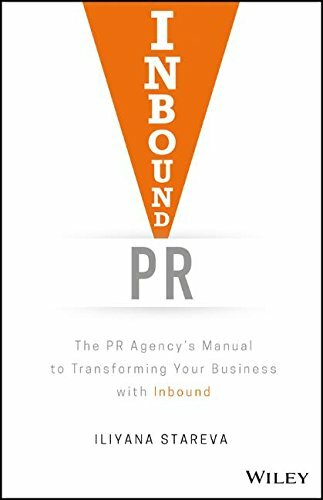 A while ago, a fellow professional came up with the term Inbound PR. On her blog, Iliyana Stareva, Global Partner Program Manager at HubSpot, writes a lot about inbound PR and marketing. Because inbound PR is all about content, PR pros do what they are best at (creating content) and also can measure PR results. In any communication plan, the target groups are not only consumers, but also media, bloggers, influencers, stakeholders, employees, communities, etc., and inbound PR helps because agencies can create content for their clients that is specific for each of their target groups. Everyone can share and express opinions via social media. This way, each of these groups becomes an influencer in a way. Inbound PR follows the Inbound marketing methodology. First, you must identify the media persona and start providing relevant content for each stage of their journey. There are four stages. Attract strangers into visitors by offering relevant content like blog posts, press releases, social media posts. Convert visitors into media leads. This is the stage where through landing pages, we ask the media reps to fill out forms to be later able to reach out to them with personalized content. At this stage, setting up a newsroom with all the materials the journalists need is going to be very helpful. Close media leads into publisher stage. Because we know what the media reps are interested in, we reach out to them with relevant content through social media or email, depending on their preferences as regards communication channels. This is where we can offer events or exclusives. Delight is the stage that is all about building relationships. We’ve now worked with the media on some stories together and we want them to be repeat publishers. When the media comes back to us, we need to give them different information from before. This way we add value to our relations. After all, PR is all about relations. In her book about Inbound PR, Iliyana Stareva writes: “The way we are influenced is very different today than it was a few decades ago. It’s because we now have the power to let brands influence us or equally to not let them… If I can’t find your brand online when I’m doing my research to solve my problem, you basically don’t exist. If you haven’t used inbound PR or marketing to create and strengthen your own online presence as a business, I’m going to ignore you and ultimately not buy from you. I might even not find you to consider you in the first place.” That’s why brands and companies should write their stories focusing on their customers’ needs and journeys to find the right information. The world changes with the people who are living in it, and so do businesses. According to an MSL Group’s trend report, millennials are growing up with a different attitude towards sharing and interacting with strangers. They are more inclined to think about sharing cars in the same way they think about sharing photos. They view technology differently; they use their phones to get access to whatever they need, whenever they need it. We are seeing an entire generation that wants to be part of brands and experiences that are bigger than the individual self. People spend more time browsing the internet now. Within just a year, the amount of time spent online has changed drastically: 8 mins/day in 2015 vs 45 mins/day in 2016 (The Second Technology Revolution: How the PR Business Needs to Change Once Again). Hundreds of decisions are made each day when email, social media, or push notifications are received. However, brands need to anticipate and pinpoint these micro-moments to provide the right information at the right time to build strong consumer and customer relationships. This is because people do not make decisions or purchases right away. They need time to think and consider the options they have or do a little more research. According to an article at INC.com (Generation Z vs Millennials: the 8 Differences You Need to Know), what’s important is to constantly improve, and Gen Z lives in a world of continuous updates, as they’re able to processes information faster than any other generation. As Brian Solis says in his book WTF? What’s the Future of Business? : Changing the Way Businesses Create Experiences, “We live in a time where brands are people and people are brands.” For this very reason, brands need to catch up very quickly with people’s needs. Again, Brian Solis describes in his idea of “Digital Darwinism” that technology and society move faster than our ability, especially brand and company’s ability to adapt. According to the Conversation Prism, the consumer is in the center of its universe. Social media changed the way people communicate online, what they share and post. The Conversation Prism is a visual map of the social media landscape. It’s an ongoing study in digital ethnography that tracks dominant and promising social networks and organizes them by how they’re used in everyday life. Social media has democratized information and shifted the structures of influence. Moving forward to another example of disruption, digitization is a big thing. The media are digitized today as well. With social media news spreading at light-speed, people can make news, too. Moreover, traditional news media evolved into digital news engines. The content they produce is more concise and is created with a social-media-savvy audience in mind. Technologies have allowed for the development of different algorithms that media outlets and social media platforms use for spreading their news. On the other hand, this also entails being in control over which groups see which news. Facebook is an example of a social media platform that has incorporated AI in many ways, for example, they implemented algorithms that control what stories appear in the News Feeds and some data analysis services such as Facebook topic data. An example of data-driven decision making is the Slack bot New York Times built to help decide which stories to post to social media using social data. But AI isn’t just useful in deciding what to post, the writing of the posts can also be automated. For example, the Associated Press has robot journalists who write some of the articles. Even more so, technologies are trying to be more “human” to appeal to people on an emotional level. This is the idea behind virtual and augmented reality and mixed reality. A good example here is the luxury fashion brand Kate Spade New York that launched an AR app to create buzz around the opening of its first brick-and-mortar store in Paris. The app guided users around the French capital on a stroll where they could explore three fashion influencers’ favorite Parisian locations in real life with “virtual surprises” overlaid on a smartphone screen. The final location was the new boutique on Rue Saint-Honoré, as the retailer smartly aimed to drive foot traffic—and sales—by tying its OOH effort with a fun AR experience. Knowing that people now prefer video content above everything, Google has taken a decisive step and launched its video intelligence API, which allows people to search for and discover information in videos. Such enhancement makes live-streaming more accessible, customizable, and relevant and will enable consumers to engage even more. Sooner or later, agencies across the globe will change their business models and upgrade their services to adapt to the changing consumer needs. So, the time has come to disrupt your PR agency model!